I’m a staunch believer that the most valuable survival skill – for both disasters and everyday life – is creativity. Yes, creativity! When you think outside of the box, you suddenly realize that there are a lot of resources around you if you’d only put them to work. Thanks to the sheer amount of trash which can be found virtually everywhere, one resource we can rely on is plastic bottles. 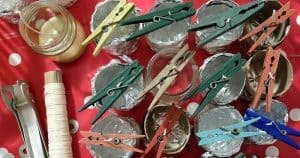 There are a lot of survival hacks with plastic bottles that you can do. I’m only listing some of the survival uses here. But, my goal isn’t just to show you practical ways that plastic bottles could help save your life. 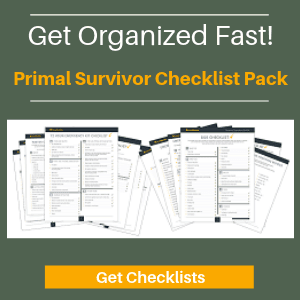 My goal is to encourage you to think outside the box when it comes to survival items. One of the most important survival items is a face mask. It also happens to be one of the most overlooked items. If only people had worn face masks on September 11th, we wouldn’t still be having so many deaths due to cancer and health affects! I wouldn’t recommend relying on this DIY plastic bottle face mask in a true emergency situation. But it is better than nothing. Along with shelter, clean drinking water is one of the top survival priorities. 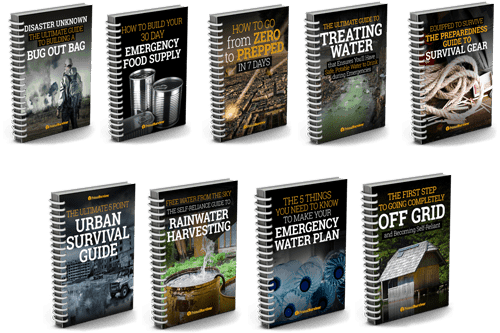 Don’t drink untreated water in an emergency situation. Heck, don’t even drink tap water when the power is out without first treating it!!! A solar still is a cool way to extract clean water from black water using evaporation. It’s also great for getting clean water from salt water. This video shows you how to make a plastic bottle solar still. Don’t fill the bottles completely with water. Any water under the cap won’t get hit by the sun and be treated! This is a fairly well-known bushcraft trick. 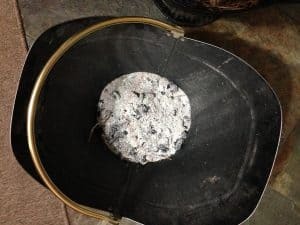 Put some layers of gravel, sand, and charcoal in a plastic bottle and you can filter water through it. Rope is by far one of the most important pieces of survival gear you need. 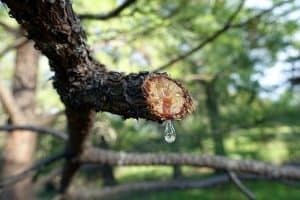 You can make rope from plants, but it is far easier and faster to slice a plastic bottle into rope. This video shows you how it can be done. Just cut the top off of a plastic bottle. Invert it and shove it into the bottom part. Now you have an animal trap! 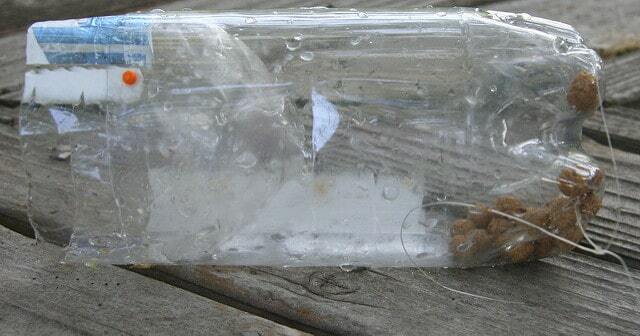 Animals such as fish, frogs, and crawdads get into the bottle (especially if you bait it) but can’t get out. See more DIY animal traps here. 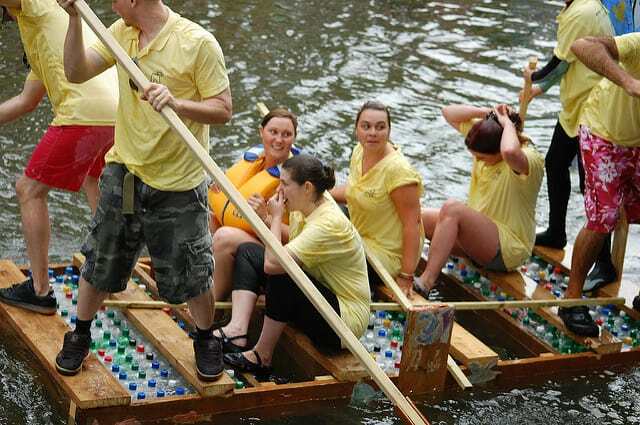 I’ve never tried this, and honestly would be quite freaked out to ride on a plastic bottle raft. But the idea is really cool. Maybe I will test it out next summer and see how many bottles are needed to hold up a family. This video is a bit cheesy, but still really inspiring. 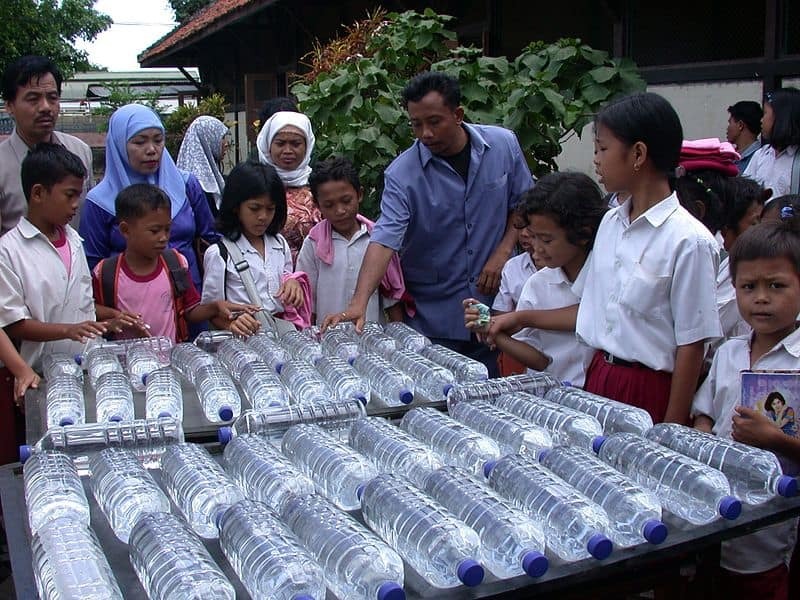 It shows how people in some poor, rural areas are recycling plastic bottles to build homes. 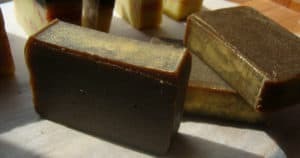 The video shows how plastic bottles have been filled with dirt to become bricks – which is a lot easier than making mud-and-straw bricks. You can read how to make the sandals here. Need to light up a dark space without electricity? Fill a clean, clear plastic bottle up with water and some bleach. Then put it into a hole in the roof. The water will diffuse sunlight, making a surprisingly bright light. 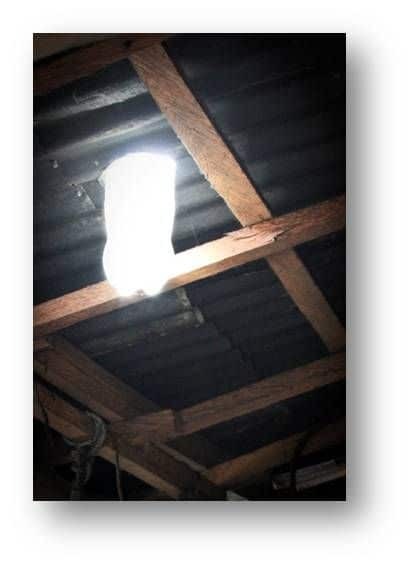 Here’s instructions on how to make the solar bulb. There is absolutely no need to buy one of those pricy camping showers (though I’ll admit some are pretty cool). 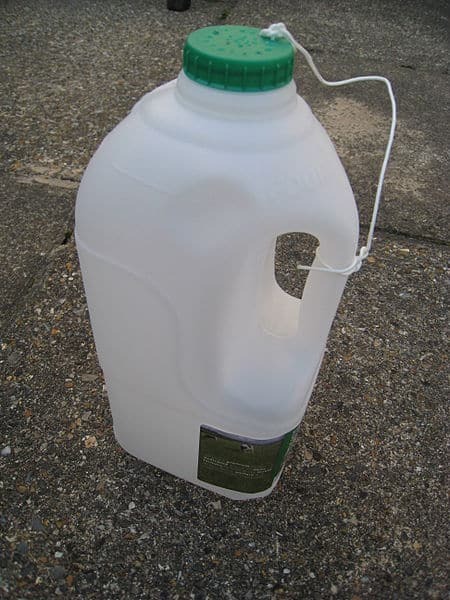 Instead, you can make your own emergency shower out of a plastic bottle. Just poke some holes in the cap. This is a great trick for conserving water when the grid is down, and also making sure you stay clean through any emergency. The End of the World As We Know It has come and you need to grow food for your family… Plant your survival seeds in this DIY greenhouse made from plastic bottles. You’ll need a LOT of plastic bottles for this – about 1,000 two-liter bottles for a 6×8 foot structure. You’ll also have to remove all of the labels, which will be annoying. But the structure is surprisingly strong, can be built in many ways, and still allows rainwater to get through. 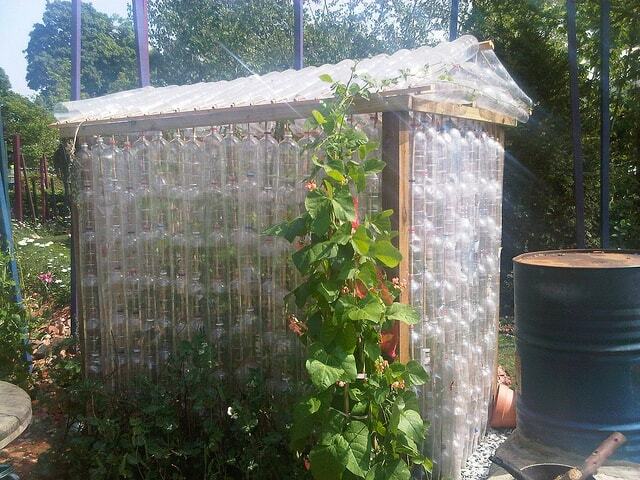 Here’s some more detailed instructions on how to build a plastic bottle greenhouse. Melt and Cast: You can melt plastic bottles (carefully, they release fumes!) and cast the plastic into shapes. Here’s a tutorial. Storage: Put small survival items (like first aid kit) inside a plastic bottle to waterproof it. 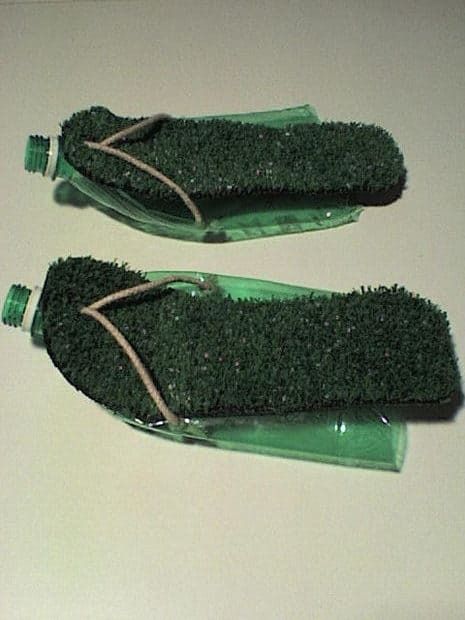 What other survival hacks using plastic bottles can you come up with?